The dates have been rumored for quite some time. And now we’re all clear about the specifics of Magento 1’s end of life and there is no need to worry about Magento 1 End-of-life in 2018. Magento 1.9 was initially released in 2014. For merchants that are still excelling on their current Magento 1 implementations, there’re at least 18 months to make a business plan and put in place a schedule for the migration and upgrading their websites. Magento changing their support time is a good news as this means you have enough time to evaluate the options to determine the best transition plan for your business. However, to ensure that you don’t create future obstacles for your business, a plan for the next phase of your websites should be in place as soon as possible. 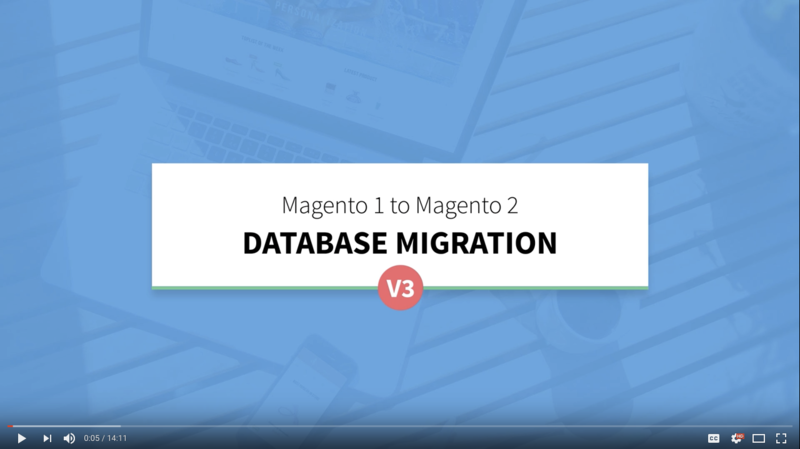 If you have taken the decision to transfer to Magento 2, there are lots of aspects to migration you need to handle — extensions, themes, custom development, and data. So, you will need to manually port extensions, theme and custom code to Magento 2 to take advantage of the new platform. Since all extensions and themes will be different from each other, you need to research if there is a Magento 2 version or alternative available. You can pick the right solution partner for further help in the next phase too. 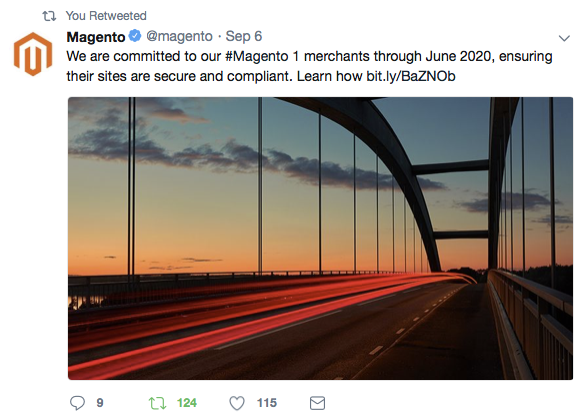 A move to Magento 2 raises an important question -- Data isn’t easily transferable; how will you do it if you want to upgrade your Magento 1 shop to a Magento 2 shop? 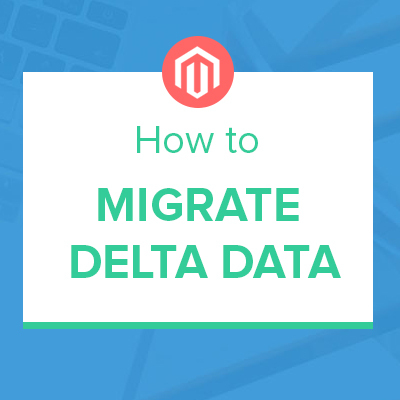 Due to the complex difference of data structure between Magento 1 and Magento 2, it is almost a no-brainer that you should be using a data migration tool to ease the migration process. Since launching our data migration tool early 2015, we had great chances working with countless Magento data migration projects -- here, here and here, for example -- we found that it’s hugely important to get a handle on migrating your data first and foremost. Depending on the specific migration tool you choose, the recommended workflow might vary. Just ensure you test your data throughout and don’t leave data migration to the last minute. As a matter of fact, there are many people who share misconceptions about Magento data migration. We will use our migration tool as an example to discuss about the most common myths and misconceptions about Magento data migration. Myth-buster: I can not migrate from Magento 1 to Magento 2 without the help of a programmer: FALSE! With a migration tool like UB Data Migration Pro, it automates the whole migration process. You can take a quick look at this brief video which will provide you a closer look into the key steps of migration. The migration process is self-explanatory and easy to follow, with 9 visualized steps. “… I am just a Magento user, normal one. I bought your extension because I had a bad experience upgrading from Magento 1.8 to 1.9 with the “help” of a programmer. From that moment I start to search on the internet for a extension like yours. What I can say, it is working as you described, simple just connect the database and after that just push next, next. Your extension helped me save a lot of money …… and nights :). Myth-buster: If you have an extensive catalog, you’ll find that UB Data Migration Pro falls short: FALSE! UB Data Migration Pro extension gives you the ability to migrate a large product catalog efficiently and reliably. Learn how we helped Winetasting.com migrate 382,047 customer entities to Magento 2 or how Freelaunch.nl used UB Data Migration Pro to migrate 230,000 products to Magento 2. Myth-buster: The source Magento 1 and Magento 2 must be on the same server / I can not migrate from a remote Magento 1 database: FALSE! You might find other tools that require the source and destination databases to be on the same MySQL server. However, with our migration tool, the source and destination databases could be from different MySQL servers. Myth-buster: Customer passwords are not migrated over: FALSE! After data migration, the customers’ usernames and passwords are the same as those in Magento 1. There’s no need to change or perform password resets. Myth-buster: Tier prices and group prices are not migrated: FALSE! The core attribute ‘group_price’ was removed in Magento 2 in favor of Tier price. So, UB Data Migration Pro tool automatically converts the Group Price to Tier Prices during migration. Even though it doesn’t seem to be too urgent at the moment, it’s better to be fully prepared for moving and stay ahead of the Magento 1 EOL curve. If you plan a thorough approach to migration now, it creates plenty of time for the transition and helps you avoid trouble when incorporating extensions, theme and updates. Since the process of migrating data is one of the biggest challenges for any Magento migration project, moving forward with our UB Data Migration Pro is a great choice that saves you tons of time. If you have any queries or if you need help in migrating data to Magento 2, get in touch with us via info (at) ubertheme.com. We will be more than happy to work with you.